Acastus – Mortal king, son of Pelias and Anaxibia, husband of Astydameia, father of Sthenele and Laodamia. King of Iolcus and an Argonaut. Acheilus - ​Mortal, son of Zeus and Lamia. Transformed into monstrous shark by Hera. Achelous – Potamoi god, son of Oceanus and Tethys, father of the Sirens. Greek god of the River Achelous. Acrisius - Mortal king, son of Abas and Aglaea, brother of Proetus, father of Danae. King of Argos. Actaeon – Mortal hero, son of Aristaeus and Autonoe. Student of Chiron and Theban hero. Actor - Mortal prince, son of King Deion of Phocis, husband of Aegina, father of Menoetius. Adicia – Minor goddess, possible daughter of Eris or Nyx. Greek goddess of Injustice. Admetus – Mortal hero and king, son of Pheres, husband of Alcestis, father of Eumelus. Argonaut and Calydonian Hunter, king of Pherae. Aeetes - King of Colchis, son of Helios and Perseis, father of Medea. Owner of the Golden Fleece. Aegaeon - Early god, son of Pontus and Gaia. Ally of Titans during Titanomachy and Greek god of the storms of the Aegean. Aegeus – Mortal king, son of Pandion and Pylia, brother of Pallas, Nisus and Lycus, father of Theseus by Aethra. King of Athens. Aegina - Naiad nymph, daughter of Asopos and Metope, mother of Aeacus by Zeus and Menoetius by Actor. Aegyptus - Mortal king, son of Belus, brother of Danaus. Father of 50 sons. King of Arabia and Egypt. Aeolus – Mortal king/Minor god, son of Hippotes, husband of Melanippe. Keeper of the Winds and King of Aeolia. Aerope – Mortal queen, daughter of Catreus, wife of Atreus, mother of Agamemnon and Menelaus. Queen of Mycenae. Aesacus – Mortal prince and seer, son of King Priam and Arisbe, potential lover of Hesperia. Transformed into seabird by Tethys. Aeson – Mortal king, son of Cretheus and Tyro, husband of Polymele (or Alcimede), father of Jason and Promachus. Possible King of Iolcus. Aether – Protogenoi god, son of Erebus and Nyx. Greek god of the pure Upper Air breathed by gods. Atheiopean Cetus – Sea monster, offspring of Phorcys and Ceto. Terrorised Aethiopia in time of Cephalus, until the arrival of Perseus. Aethra – Mortal princess, daughter of King Pittheus, lover of Aegeus, and mother of Theseus. Agamemnon - Mortal king, leader of the Achaean forces at Troy, brother of Menelaus, husband of Clytemnestra, father of Iphigenia and Orestes. King of Mycenae. Agelaus – Mortal, servant of King Priam, surrogate father of Paris. Agenor - Mortal king, son of Epaphus and Memphis, brother of Belus, father of Europa and Cadmus. King of Phoenicia. Aglaia – Charites goddess, also known as Charis, daughter of Zeus and Eurynome, wife of Hephaestus. Greek goddess of Splendour. Agres – First generation Cyclops, son of Ouranos and Gaia, brother to Brontes and Steropes. 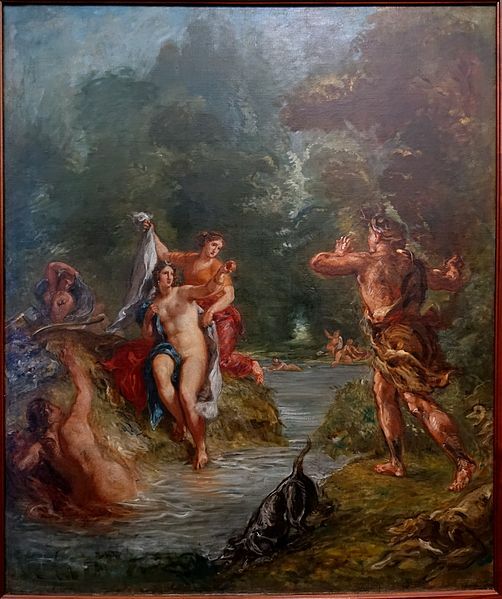 Aigle – Hesperides nymph. Daughter of Nyx (occasionally Atlas). Greek goddess of the Evening and the Golden Light of Sunset, name means Radiance. Ajax the Great – Mortal hero, son of Telamon and Periboea. Suitor of Helen and Achaean hero during the Trojan War. Ajax the Lesser – Mortal hero, son of Oileus and Rhene. Suitor of Helen and Achaean hero during the Trojan War. Alcestis - Mortal queen, daughter of Pelias and Anaxibia, wife of Admetus, mother of Eumelus and Permiele. Queen of Pherae. Alcmene - Mortal princess, daughter of Electryon and Anaxo, wife of Amphitryon, lover of Zeus, mother of Heracles and Iphicles. Alcyone - Mortal queen, daughter of Aeolus, wife of Ceyx, mother of Hippasus. Queen of Trachis. Aloadae – Twin brothers, Ephialtes and Otus gigantic sons of Poseidon and Iphimedia. Amalthea - Possible Oceanid nymph, daughter of Oceanus and Tethys, foster-nurse to the baby Zeus. Alternatively, name of the nymph’s goat who fed Zeus. Amphion - Mortal king. Son of Zeus and Antiope, brother of Zethus, husband of Niobe. King of Thebes. Amphitrite - Nereid daughter of Nereus and Doris. Wife of Poseidon, mother of Triton and Rhode. Greek Queen of the Sea. Amphitryon – Mortal hero, son of Alcaeus and Astydameia, husband of Alcmene, father of Iphicles, and stepfather of Heracles. Ananke – Occasionally name Protogenoi goddess, wife of Chronus (Time). Greek goddess of Compulsion and Necessity. Anchinoe - Naiad nymph, daughter of Neilos, wife of Belus, mother of Danaus and Aegyptus. Androgeus - Mortal prince, son of Minos and Pasiphae. Prince of Crete. Andromache – Mortal queen, daughter of Cepheus and Cassiopeia, husband of Perseus, mother to many including Electryon and Sthenelus. Queen of Mycenae and Tiryns. Andromeda - Mortal queen, princess of Aethiopia, daughter of Cepheus and Cassiopeia. After rescue became husband of the hero Perseus, and mother to the Perseids. Anemoi – Group of gods, four sons of Astraeus and Eos. Greek gods of seasons and the four Winds, named Boreas, Eurus, Notus and Zephyrus. Antenor – Mortal, son of Aesyetes and Cleomestra, husband of Theano, father of Acamas and Agenor amongst others. Trojan elder during Trojan War. Anticlea – Mortal queen, daughter of Autolycus and Amphithea, wife of Laertes and mother of Odysseus and Ctimene. 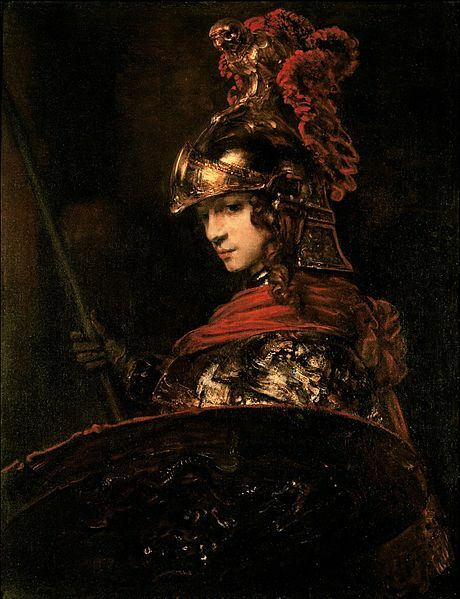 Antigone – Mortal princess, daughter of Oedipus and Jocasta, sister of Polynices, Eteocles, and Ismene, possible wife of Haemon and mother of Maeon. Princess of Thebes. Antiope – Mortal princess, daughter of Nycteus and Polyxo, lover of Zeus and mother of Amphion and Zephus, wife of Phocus. Princess of Thebes. Antiphantes - Mortal, son of Laocoon, brother of Thymbraeus. Aoede – Elder Muse, muse of the song, daughter of Ouranus and Gaia. Aphrodite – Olympian goddess, offspring of Cronus. Greek goddess of Love and Beauty. Apollo - Olympian god, son of Zeus and Leto. Greek god of Healing and Prophecy. Arachne – Mortal woman from Lydia, daughter of Idmon. Noted weaver and challenger of the goddess Athena. Arcas - Mortal king, son of Zeus and Callisto, husband of Laodamia (potentially), father of many including Elatus and Apheidas. King of Arcadia. Arche – Elder Muse (occasionally named), muse of the beginning, daughter of Ouranus and Gaia. Ares – Olympian god, son of Zeus and Hera. Greek god of War and Battle Lust. Arethusa - Hesperides nymph (occasionally named). Daughter of Nyx (occasionally Atlas). Greek goddess of the Evening and the Golden Light of Sunset, name means War Swift. Argus - Mortal hero, son of Arestor, Argonaut and builder of the Argo. Argus Panoptes – Giant, son of Gaia. One hundred eyed giant from Argos. Ariadne - Mortal princess, daughter of King Minos and Pasiphae, lover of Theseus and wife of Dionysus. Made immortal by her husband. Artemis – Olympian goddess, daughter of Zeus and Leto. Greek goddess of Hunting, and protector of young girls. Asclepius – Olympian era demi-god, son of Apollo and Coronis. Elevated to status as Greek god of Medicine. Asteria – Second generation Titan, daughter of Coeus and Phoebe, wife of Perses, and mother of Hecate. Greek goddess of Falling Stars. Asterion (i) – Mortal king, son of Tectamus, husband of Europa, stepfather of Minos, Rhadamanthys and Sarpedon. King of Crete. Asterion (ii) – Given name of the Minotaur, son of Pasiphae and the Cretan Bull. Asterope - Hesperides nymph (occasionally named). Daughter of Nyx (occasionally Atlas). Greek goddess of the Evening and the Golden Light of Sunset, name means Starry Faced. Astraea – Goddess daughter of Astraeus and Eos. Virgin Greek goddess of Justice. Astraeus – Titan god, son of Crius and Eurybia, husband of Eos, father of the Anemoi and Astra Planeta. Greek god of the Dusk. Astra Planeta – Group of gods, five sons of Astraeus and Eos. Greek gods of the Wandering Stars (Planets), named Eosphoros, Phaethon, Phainon, Pyroeis, and Stilbon. Atalanta - Heroine present at the Calydonian Hunt. Daughter of Iasus, wife of Hippomenes, mother of Parthenopaios. Ate - Daughter of Eris. Greek goddess of Ruin. Athamas – Mortal king, son of Aeolus and Enarete, husband of Nephele, father of Phrixus and Helle. Remarried to Ino, and father of Learches and Melicertes. King of Boeotia. Athens - Major city of ancient Greece, sacred to the goddess Athena. Famous mythological kings of Athens include Theseus and Menestheus. Atlantis - Legendary city of Greek mythology, destroyed by the gods when it was submerged beneath the waves. Atlas (i) – Second generation Titan, son of Iapetus and Clymene, father of Calypso, the Pleiades, and possibly the Hesperides. Greek god of Endurance. Atlas (ii) - Son of Poseidon and Cleito. First king of Atlantis. Atreus – Mortal king, son of Pelops and Hippodaemia, brother of Thyestes, husband of Aerope, father of Agamemnon and Menelaus. Member of House of Atreus and King of Mycenae. Augeas – Mortal hero and king, son of Helios, father to Agasthenes and Phyleus amongst others. King of Elis and an Argonaut. Aulis – Town of Boeotia, famous for its harbour, from which a thousand ships were launched against Troy. ​Aura - Minor goddess, daughter of Titan Lelantos and the Oceanid Periboia. Greek goddess of soft breezes. Aurai - Group of Oceanid nymphs, daughters of Oceanus and Tethys. Greek goddesses of the breezes. Autolycus – Mortal thief, son of Hermes and Chione, husband of Neaera and/or Amphithea, father of Anticlea and Polymede amongst others.